I just returned from an energizing meeting of Conservative rabbis, brought together by JTS Chancellor Arnold Eisen as his Rabbinic Leadership Council. This advisory group is one of many avenues the new JTS leader has created to promote dialogue and positive energy within the movement. We exchanged views on how best to revitalize the movement, and, as always, Eisen exuded an air of optimism, about JTS, the movement and American Jewry as a whole. He is working on some marvelous new initiatives, like the movement-wide "Mitzvah Initiative" and some others that will be announced shortly. Innovation is the order of the day across the denominational spectrum, especially regarding prayer. 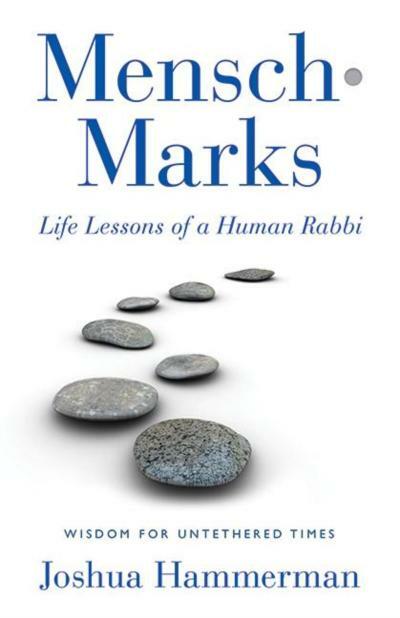 A new Orthodox prayer book was recently published by Rabbi Jonathan Sacks and has been featured widely in the media, including some claims that it intends to supplant the not-so-old Artscroll siddur as the prayer book of choice. Meanwhile, a New York GLBT synagogue just published a new siddur of its own. All this innovation brings us right back to one of the great discussions of modern - and not so modern-modern Jewry. Nothing new about the ongoing debate among those who favor more innovation in Synagogue life and those who lean more heavily on the side of tradition. Nothing new, but check out Synagogue 3000: A Concurring Dissent; Or, Of Babies and Bathwater to see the debate unfold in clear (if rather lengthy) detail. Rabbi Gerald Skolnik takes the position of Jewish practice as being "rooted in the idea of hiyyuv… the sense that said practice is obligatory," while the prevailing cultural focus is on the autonomous "sovereign self," who must be lured into the pews with liturgical bells and whistles. Ron Wolfson and Lawrence Hoffman respond on behalf of Synagogue 3000, STAR and similar think tanks. I don't want to oversimplify their arguments - and in fact there are many points of agreement between them and Skolnik. In some respects it comes down to Wolfson's question, "Should we alter the davenning or “alter” the davenners?" Hoffman looks historically at how even in medieval times, there was plenty of variety in liturgical expression. That argument resonates with me. I can recall a time not too long ago when a traditional congregation let a cantor go becaused he used a new melody for Adon Olam.... instead of the "traditional" one that originated in a German beer hall. Another “red herring” in this debate is the use of musical instruments on Shabbat. We have never suggested this as “the answer” to increasing the vitality of the worship experience. The issue is not instrumentation; it is what we used to call in our synagogue youth groups and camps “ruach” – spirit; a prayer experience that lifts up participants through a variety of means: participatory singing, serious text study, a challenging message, the warmth of a welcoming community, the celebration of lifecycle moments. Personally, I wish more Jews felt a sense of “hiyyuv.” But, unless you are lucky enough to have grown up with this sense, I am convinced we need to continue to think of ways to invite the “sovereign self” Jews in, to ignite the spark of spirituality that I believe is just underneath the surface of most human beings, and to engage them in the life of the community in a much deeper way when they do decide to join our membership ranks. Otherwise, I fear we will see more and more empty seats in our pews, even on the High Holy Days (a phenomenon many rabbis report to us). While I have long supported the innovative work of such think tanks as S3K and STAR (which will not surprise those who know me), this is a debate that needs to continue; it is one that can energize the Conservative movement and American Jewry as a whole.